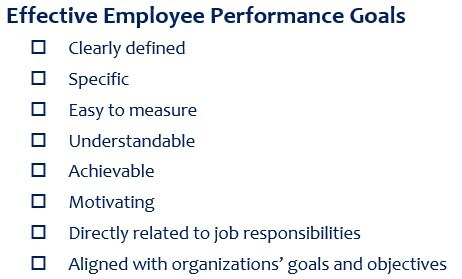 Employee performance goals are performance expectations related to his or her job tasks and responsibilities that are to be accomplished over the course of a business year. Performance goals are accomplishments set for specific duties or tasks related to an employee’s job position. These goals should be aligned with the overall organizational goals and specific department goals. Setting individual performance goals that are aligned with upper level goals provides a network of goals for the organization. 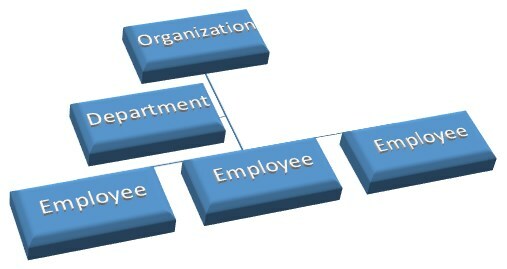 It ties the larger organizational and department goals to the smaller goals of each employee. This way the entire organization is working together to accomplish their strategic objectives. Performance goals are most effective if they are written as SMART goals. SMART is an acronym which stands for Specific, Measurable, Achievable, Relevant and Time-bound. Specific – The goal should be detailed and state the exact level of performance expected. Explain with enough detail so it can be clearly understood by all those involved in its completion. Achievable – The goal should challenge and stretch the employee’s abilities, but realistically be able to be attained. Ensure the necessary resources are available to achieve the goal. 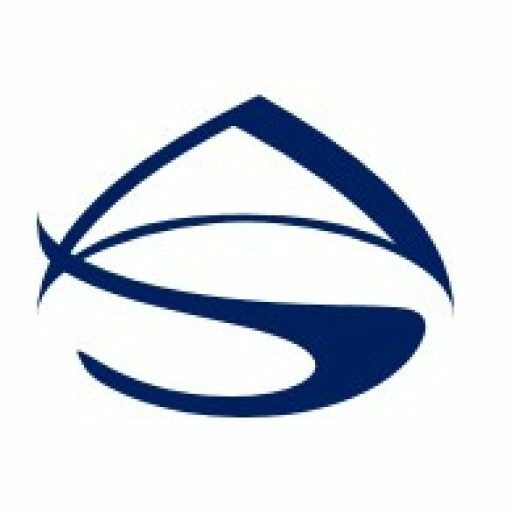 Relevant –The goal should align with and advance the organization’s vision, mission, and strategies. It should be directly related to the employee’s job responsibilities. Time-bound –The goal should specify when the result(s) will be achieved. There should be a target date for completion. Although attention on performance goals typically happens at the beginning of the year and at the end of the year (annual evaluation process), goal setting is more successful when goals are monitored throughout the year. Therefore, employee and supervisors should periodically review and discuss the status of goals and make adjustments to remain on track toward completion. In order for the goal setting process to be effective, the organization needs to reward employees who achieve their goals. If there is no recognition or reward system, it will affect employee motivation going forward. They will be less inclined to reach or exceed their goals if they feel there is no benefit to them. However, by honoring employee’s efforts, it demonstrates that the organization values their commitment and hard work.